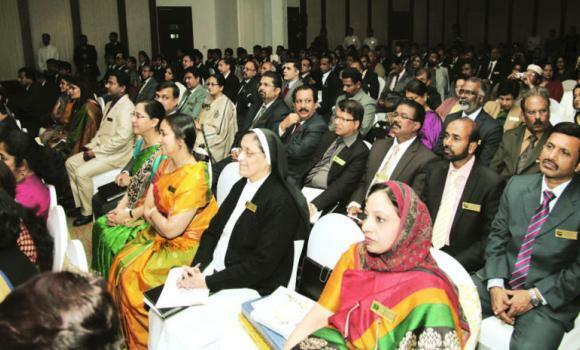 New Delhi: Recently, the 26th Annual Conference of Principals of CBSE-affiliated schools in Saudi Arabia and other Gulf countries took place in New Delhi. Inaugurated by Salman Khursheed, Union Minister for Foreign Affairs, it took place over four days. The event was hosted by the Saudi Chapter of CBSE affiliated Schools in the Gulf and many eminent personalities attended it including Dr. Abdul Kalam, former President of India; Vineet Joshi, Chairman of the Central Board of Secondary Education (CBSE); Prof. Dinesh Singh, Vice Chancellor of Delhi University; Zameeruddin Shah, Vice Chancellor of Aligarh Muslim University; and cricket legend Kapil Dev. Dr. APJ Abdul Kalam highlighted the role Principals and teachers play in transforming a child into a leader and a great citizen. “Youth’s power, if properly directed and controlled, could bring about transformational changes in humanity and achieve peace and prosperity. It is the sacred duty of principals, teachers, and parents to inspire the youth with a value-based education system, guiding them toward a mission in life”, he said. As Principals from Saudi Arabia raised issues faced by students from Saudi Arabia related to Nitaqat law and residency related problems of students, Vineet Joshi said that they could make concessions in attendance and compulsory appearance of students in both SA-1 and SA-2 examinations in such cases, with permission from the Chairman or concerned officials of the CBSE Board.